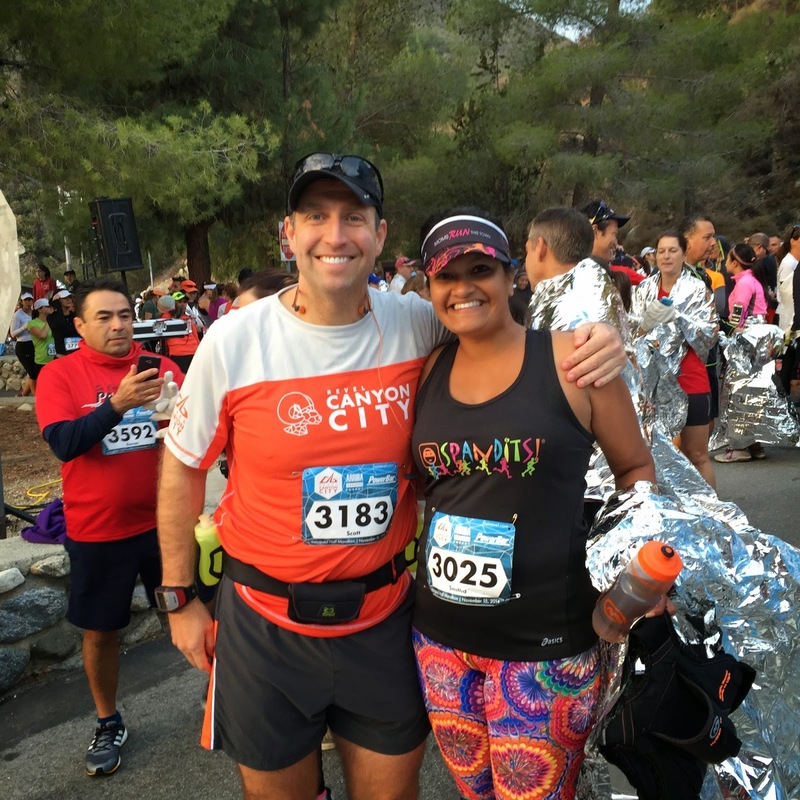 Running with SD Mom: Week 5 Training Recap and Revel Canyon City Race Review! 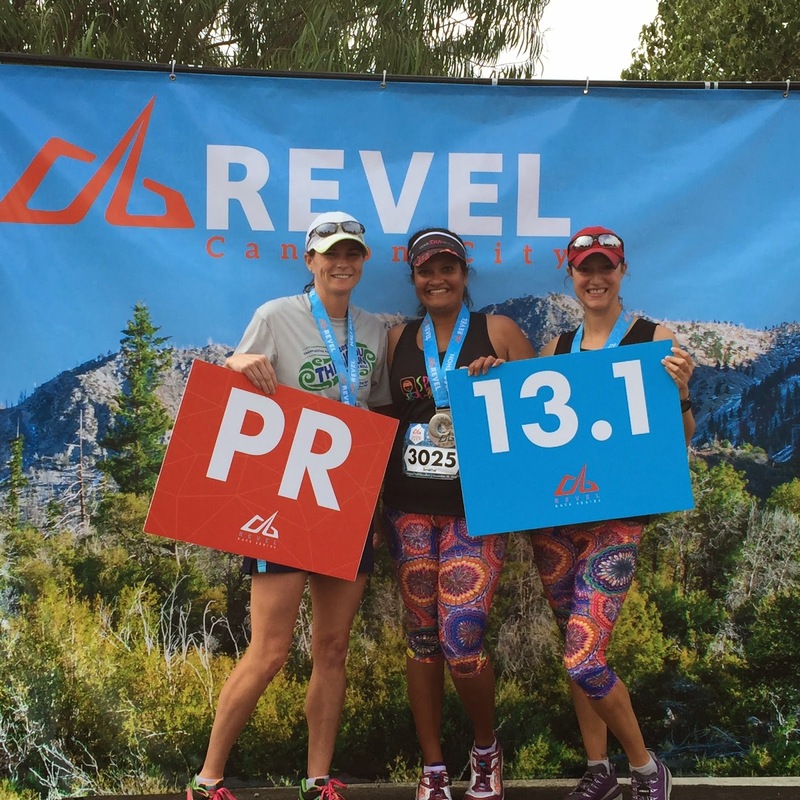 Week 5 Training Recap and Revel Canyon City Race Review! This was a whirlwind week! 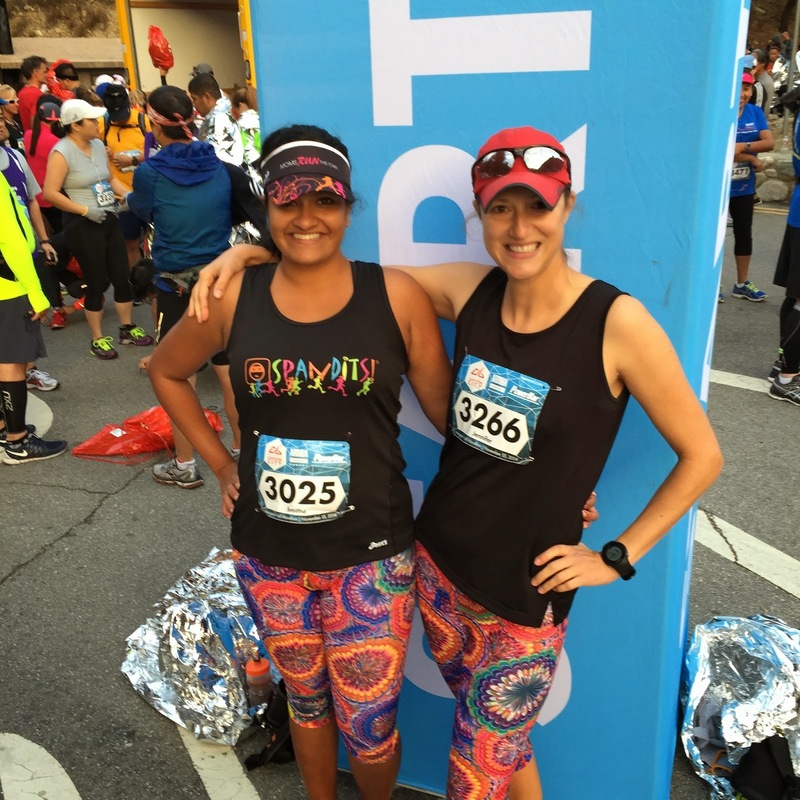 Week 5 went by in a flash and I cannot BELIEVE I am already into week 6 of training! Monday of this week saw us at Disneyland so I had to do a treadmill run. UGH! Hate those! 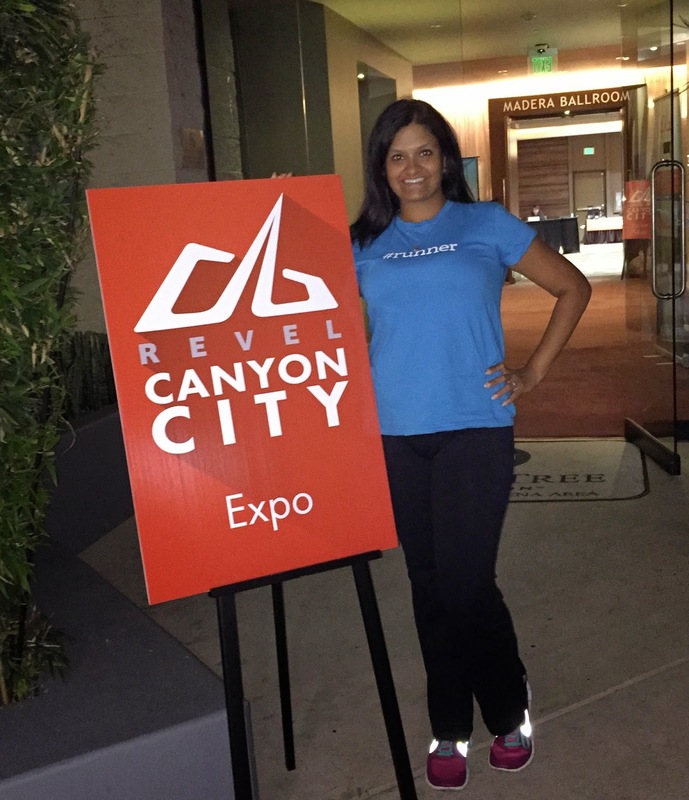 And the week was capped off by my favorite race EVER - Canyon City by the Revel Race Series. And I am not alone. EVERY single person I talked to had amazing things to say. But more on that in a bit! What made week 5 different is that I didn't do a single run at lunch. Yup! No Runching for me this week! Now on to the race. 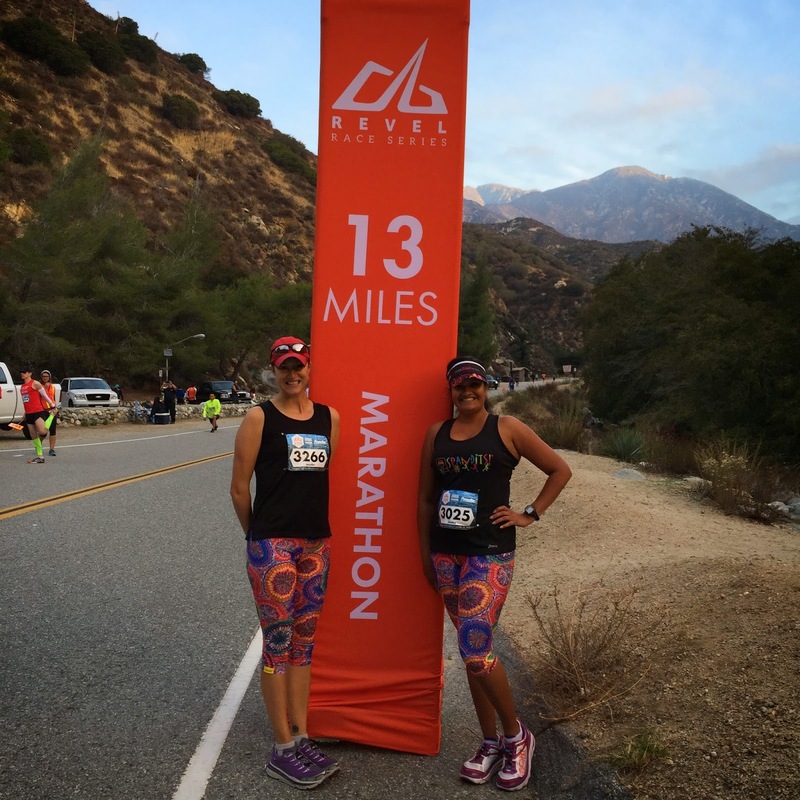 This was the first time ever a Half or Full Marathon was ever held in the City of Azusa and they were excited. You could tell. The Expo was held at the Doubletree Hotel in Monrovia (abut 9 miles form the finish line). There wasn't a lot going on at the Expo except for a couple of vendors but it was so organized. There are so many little details that were missing in other races. For example, your gear bag had a reusable luggage tag. The race shirts (option for long sleeve) were good quality orange with grey slimming side inserts. 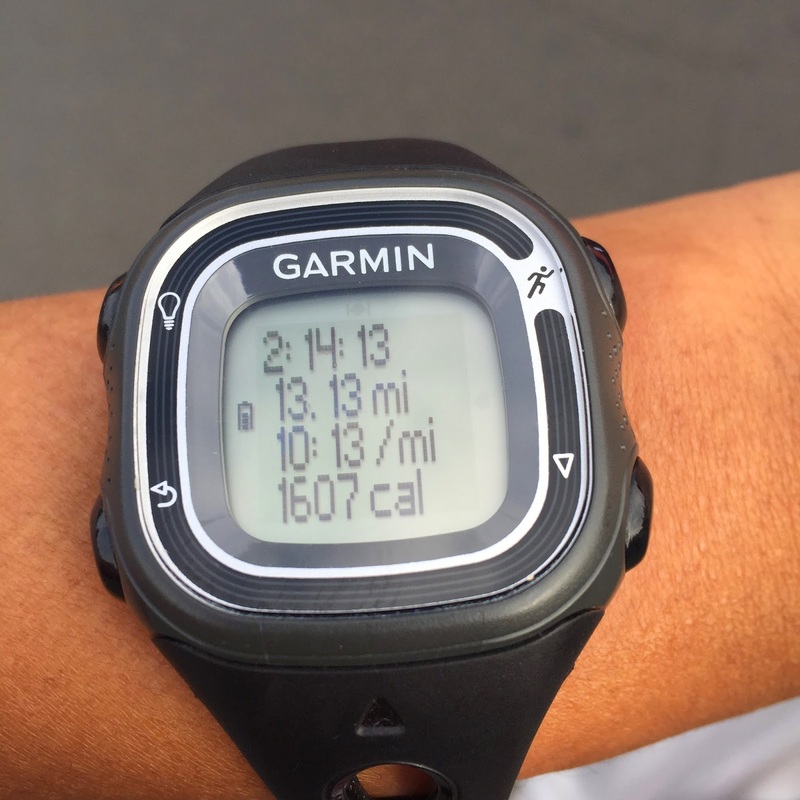 The timing chip was attached to the bib. It is like they did what we all wish others races would do and combined them all. My roommates for the night were my dear friends Caitlin and Jenn of Sole Health and Wellness. (Side Note: If you are looking for a coach, she is AMAZING!) 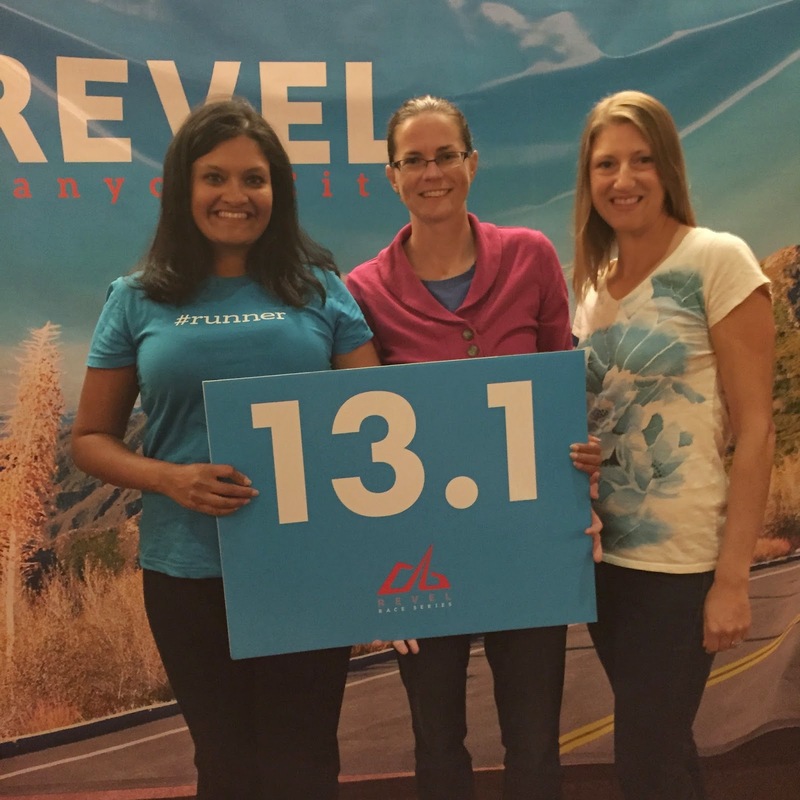 After the expo, we headed out to dinner at BJ's to meet up with some other Revel Race ambassadors. 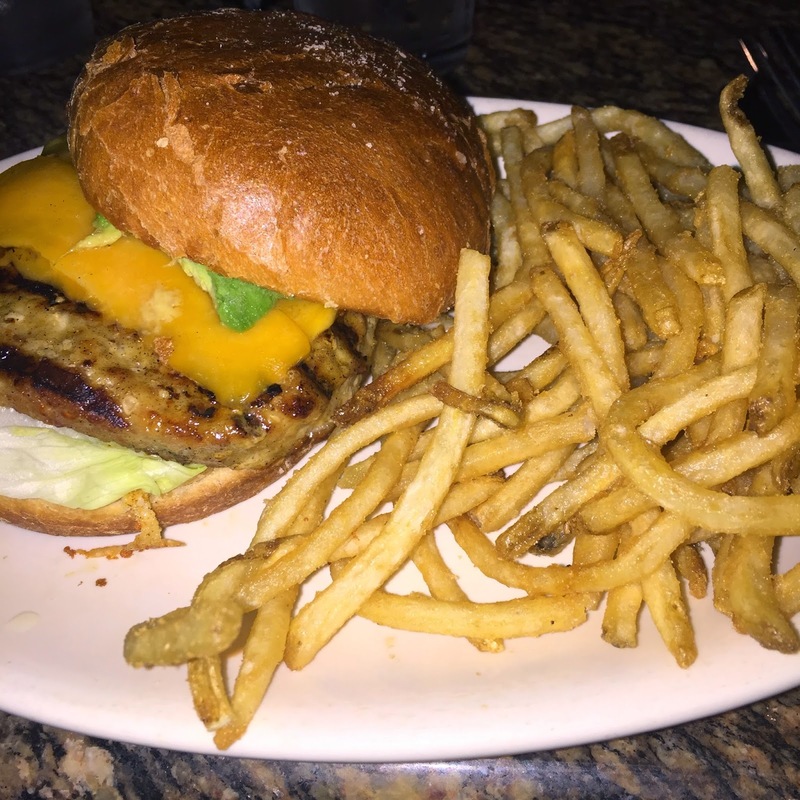 I was craving a turkey burger and this one hit the spot. Remind me that this works for me as pre race fuel! I laid out my outfit and went to bed. The next morning, we were at the shuttle line by 5 am. The Half Marathon shuttles ran from 4:45 - 5:45 and the Full even earlier. 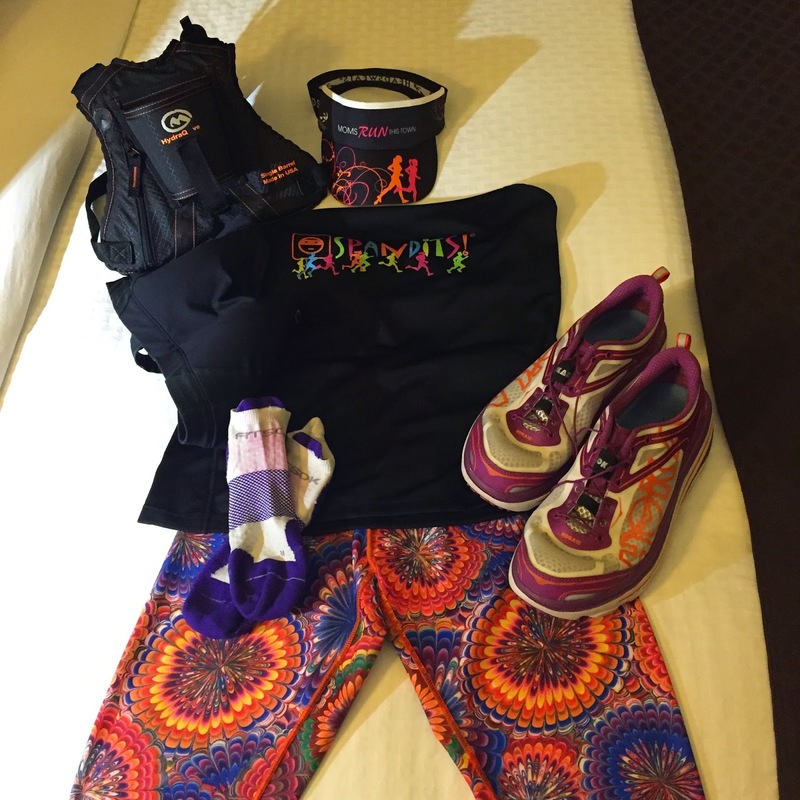 Our hotel had grab bags for the runners with a granola bar, poppy seed bagel and a bottle of water. I ate the bagel on the bus at about 5:30. I then drank my Vega Pre Workout Energizer at about 6:30 and the race started at 7:00 a.m. Even the pre race staging area was so well organized. Plenty of port a pottys. A DJ keeping everyone energized and in the mood. Jenn looks good in Spandits, right? I ran into 2 of my favorite guys too! Brian AKA Pavement Runner. And Scott from Tripping the Kenyans. We had fun on the course too. It was hands down the most beautiful course I have ever seen. At some points, it felt like I had vertigo with the majestic mountains and trees all around me. We walked thru every aid station. I usually don't post my pace because I feel like I am SLOW but here were my goals for the race: My Realistic Goal - PR (anything better than a 2:18), MyUltimate Impossible Unicorn Goal - 2:15 or my Cannot Go Slower Than Goal - 2:20. But I felt good. I had perfect weather. Perfect scenery. And the perfect friend by my side. I won't lie. It was hard. 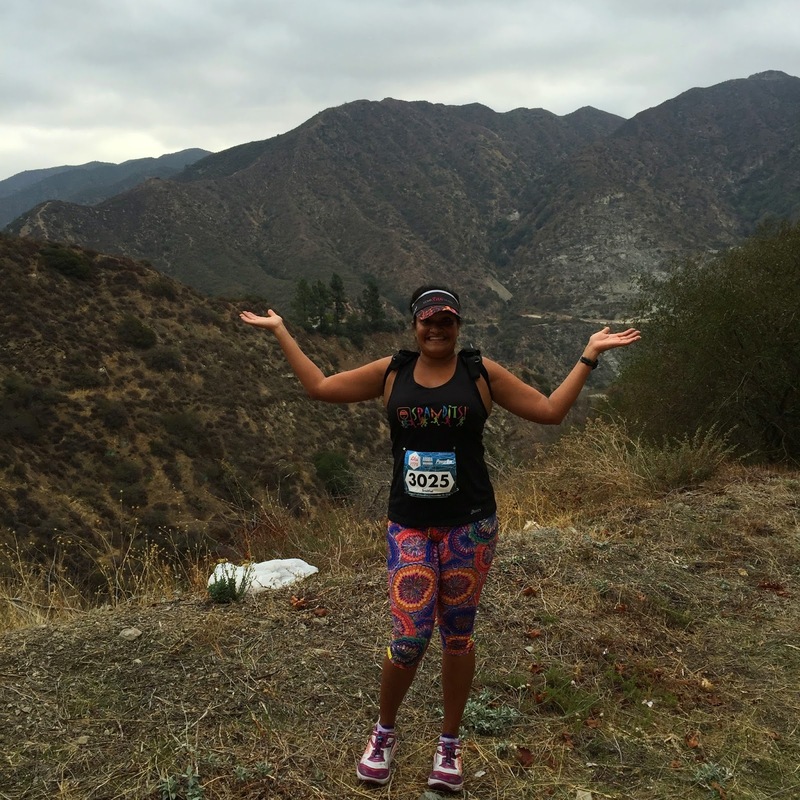 What I thought would be easy downhill running was anything but. In the first 5 miles alone, we had 2 decent size uphills which felt that much worse after running downhill. But Jenn never let me feel the pain. We sang songs, talked about unmentionable things and enjoyed the day. Until Mile 12. I wanted to die. We were now in the City of Azusa. There were finally people around but I hated all of them. The only person I didn't hate was Jenn. She said I should pretend she had an invisible rubber band tied around the both of us and she was pulling me towards the finish line. And it worked. The last 4 miles of the race were the fastest and it wasn't even downhill. So yes, I beat even my wildest Unicorn goal! I cried like a baby! I can't even imagine. Even now, as I write this, I can't believe that ME came in under 2:15! I wasn't the only one to have an amazing race. Caitlin PR'd by 10 minutes! Unbelievable! You can believe that we celebrated with some beer at the beer garden! I am so madly in love with this race and this race series. So professional, so organized and so much fun. Amazing finish line. Great giant medals. Seriously. Take my word for it. 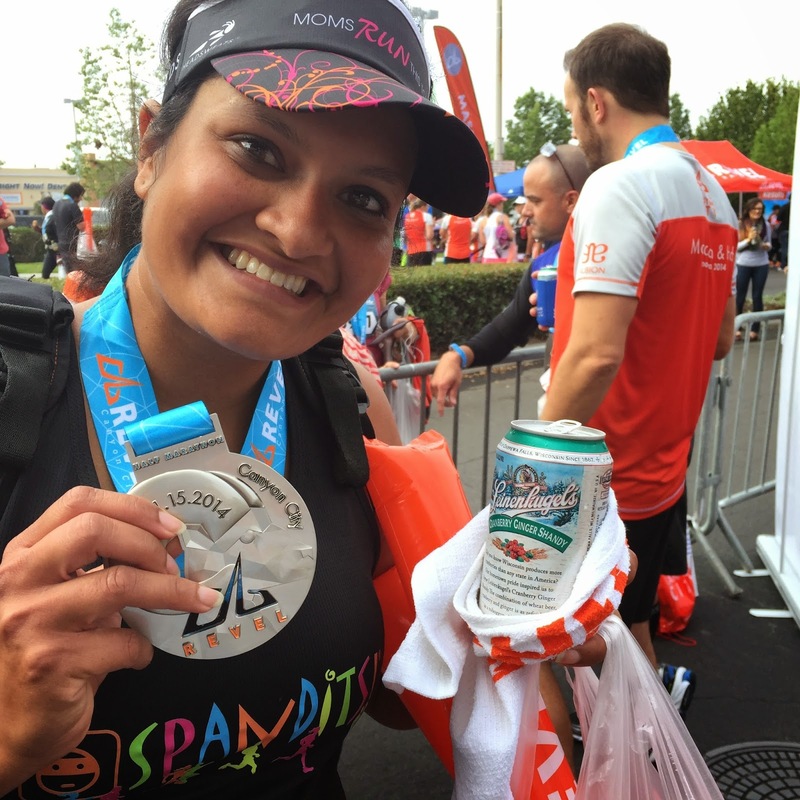 Revel knows how to throw a good race and make it the experience of a lifetime. I can't wait until next year! 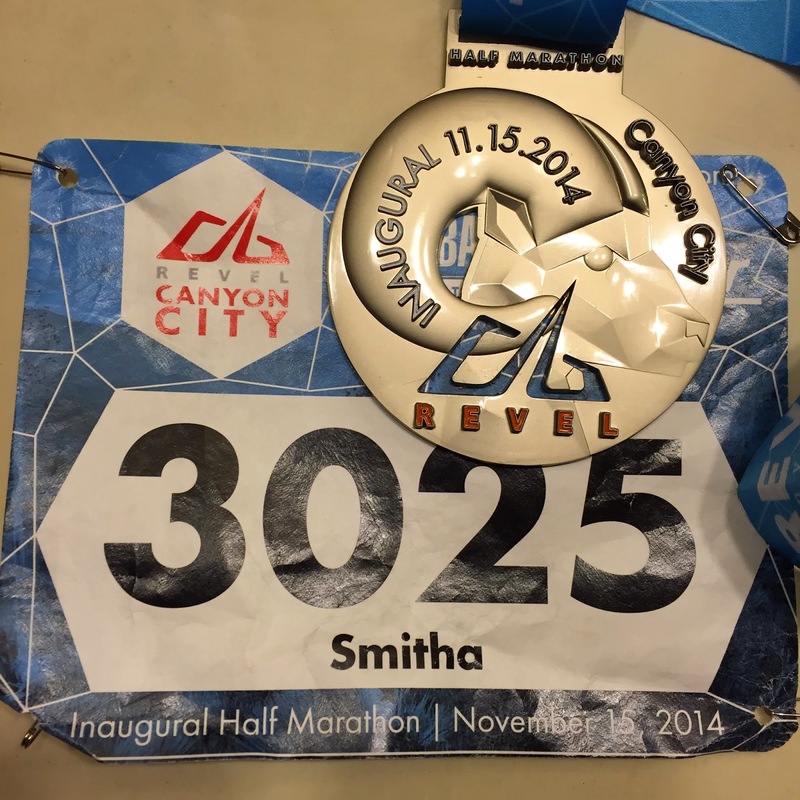 Yay Smitha! Congrats on a great race! It was incredible! I wish #TeamSpandits could do this race together! Thank you! It was an awesome race! Wow, that's impressive with an inagural race, I'm always so hesitant to do an inagural race! congrats on your PR! It was a leap of faith for sure but I LOVED every single second. In case you can't tell. LOL! Nice job. 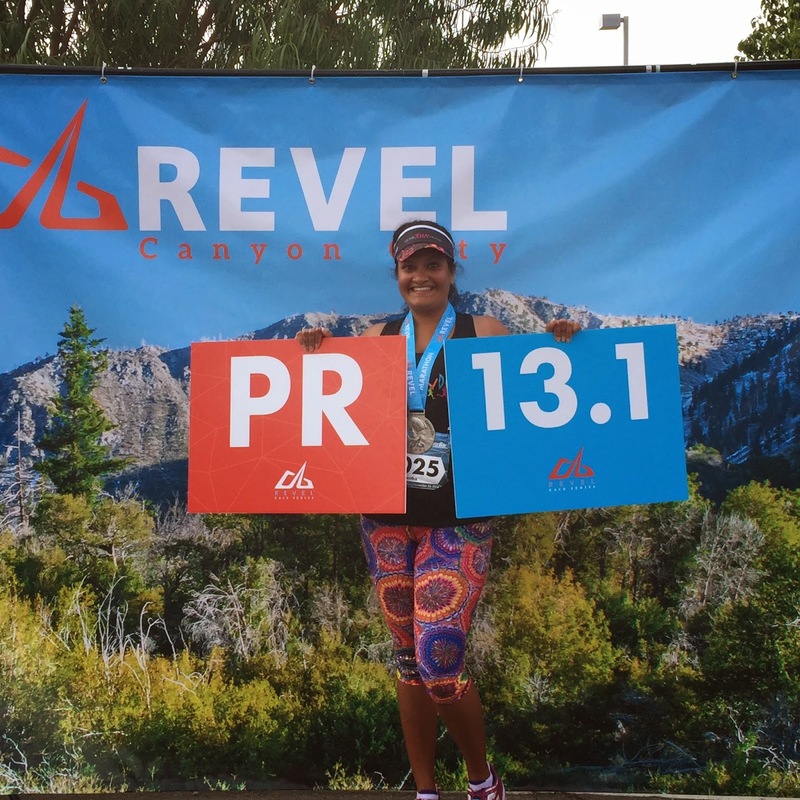 Congrats on your PR. And I love your capris! Thank you! They are Spandits. You should get them. So comfy! Congrats on the PR!! Soo cool Pavement Runner - I feel like he ran every race this weekend ahha. 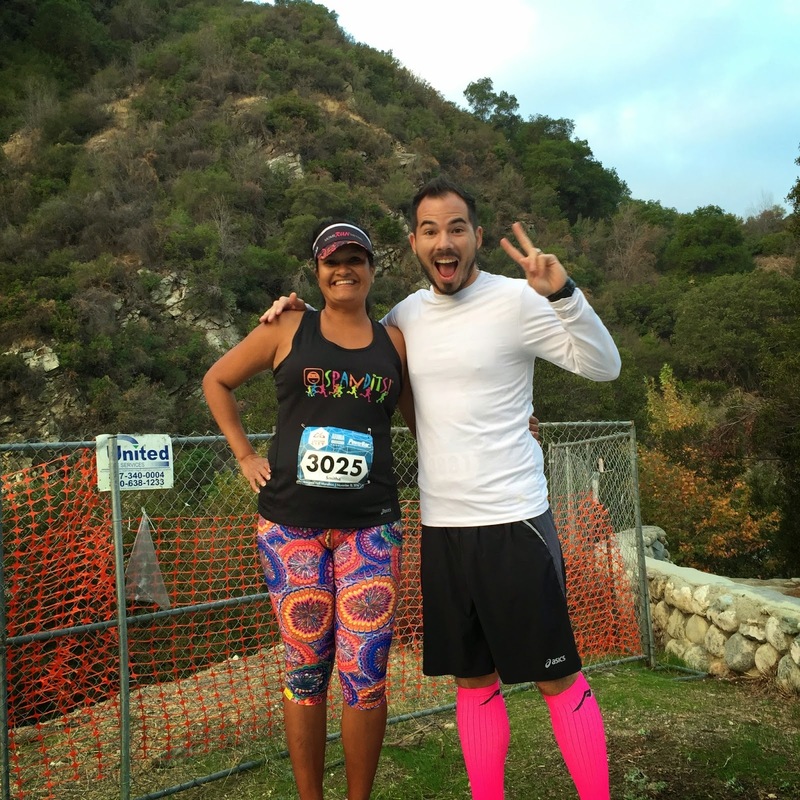 Love your tights! I think he did run every race. LOL! You should try out the Spandits! They are pretty awesome.